The paperback of ‘Cleats in Clay’ goes to… Jennifer F.
Thanks to all you folks that participated. I’ll be announcing the winners in a few minutes…. For anyone who tags a comment to this post, for, let’s say, the next two hours (until 3pm central), I’ll enter you in the raffle. And I’m feeling a bit generous In celebration of my great reviews, I’ll even throw on the table an autographed paperback of ‘Shamrock Green’. 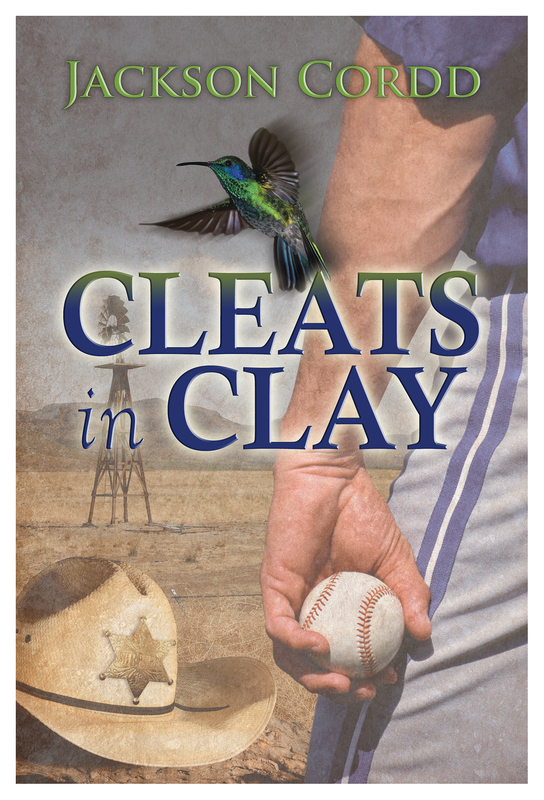 And you know… I’ve got this signed paperback copy of ‘Cleats in Clay’ just sitting here on my desk. 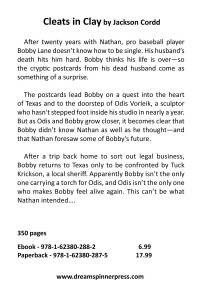 I don’t know if anyone would be interested though… it’s a silver-fox menage story between a sheriff, a baseball player, and a sculptor. 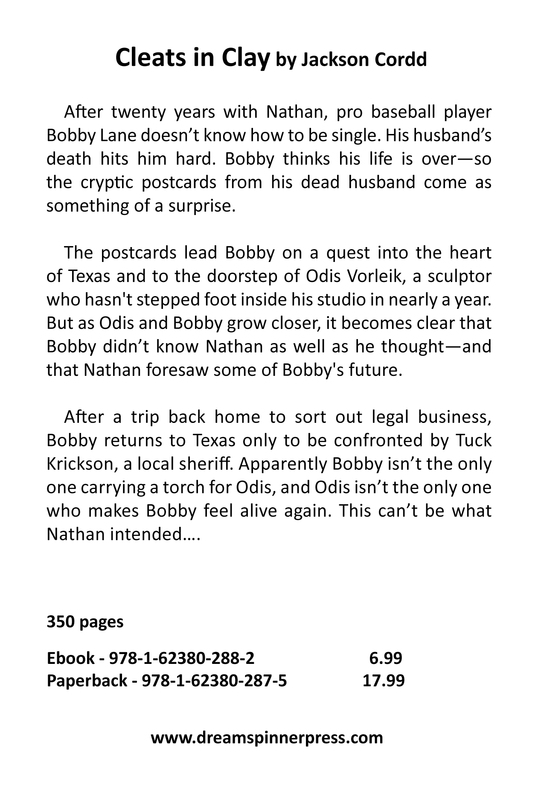 If you mention ‘Cleats’ in your comment, I’ll add you to a giveaway for that paperback. 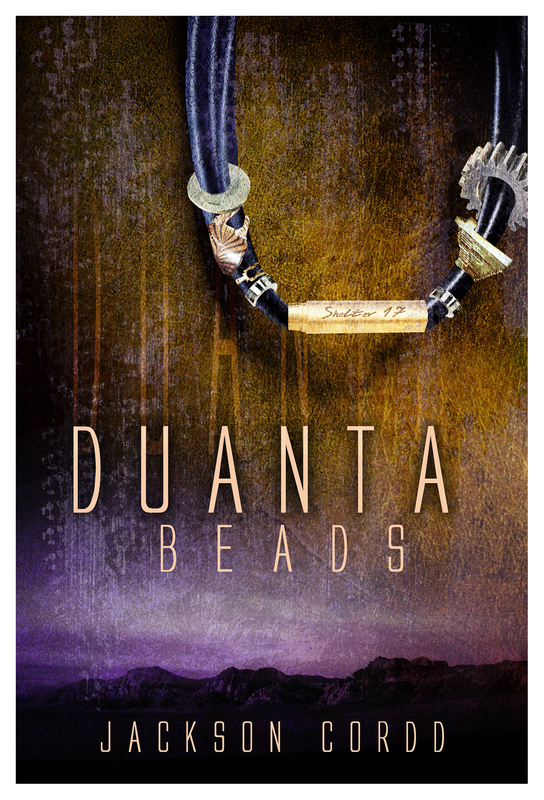 Hey, for all those not familiar with the Quantinum Residue Series, Here’s the cover and blurb for the first novella, Duanta Beads….
. Heading for the central plaza, Rourke knew it was too early to get a warm breakfast, but Pleno usually laid out bread and other leftovers for the early risers. He planned to grab a few quick bites before going to the construction workshop.
. Seeing the mottled-fur-colored figure hunched over one of the picnic tables changed the course of his plans. He called out a soft “Yoiyo” to Antinee as he went to the kitchen area. With some bread and cheese in hand, he took a seat at the table across from him. It was nice to have someone else in the village to practice his English with. He had been working hard on his language skills to impress Evan.
. “Up early? Or up late?” he asked the visitor in English.
. “They like to… wander. 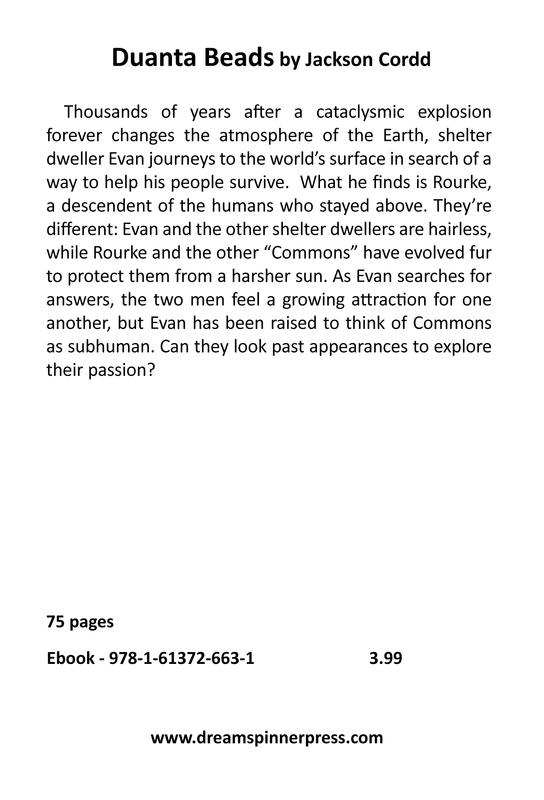 Maybe out somewhere?” Rourke offered hopefully.
. With a shrug, Rourke shook off the implications. “But I am nothing like him. 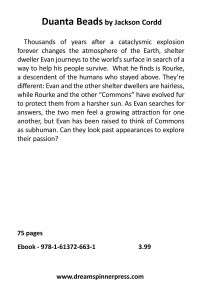 I am an architect,” he said, remembering the great word Evan had used to describe his job.
. “But I’m not,” he said in a colder tone, hinting this line of conversation was over.
. Rourke felt a bit insulted. “It is not at all like that. 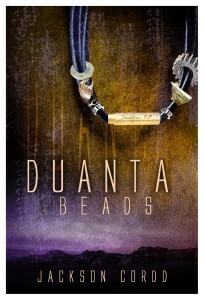 I’m duanta, in case you forgot,” he said in a bristling tone.
. “Maybe not,” Rourke said in a softer tone. My new installment of the Quantinum Residue Novellas, Raven Feathers, is getting released today. 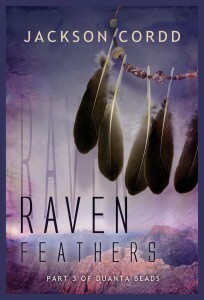 Take a peek at this glorious cover. I’ve really enjoyed our time to chat and get to know each other better. Unfortunately, I have some things to attend to tonight, so I’ll have sign off in a few minutes. Before I go, does anybody have any further questions or comments?